The day the era of bulky CRT Macs ended forever. 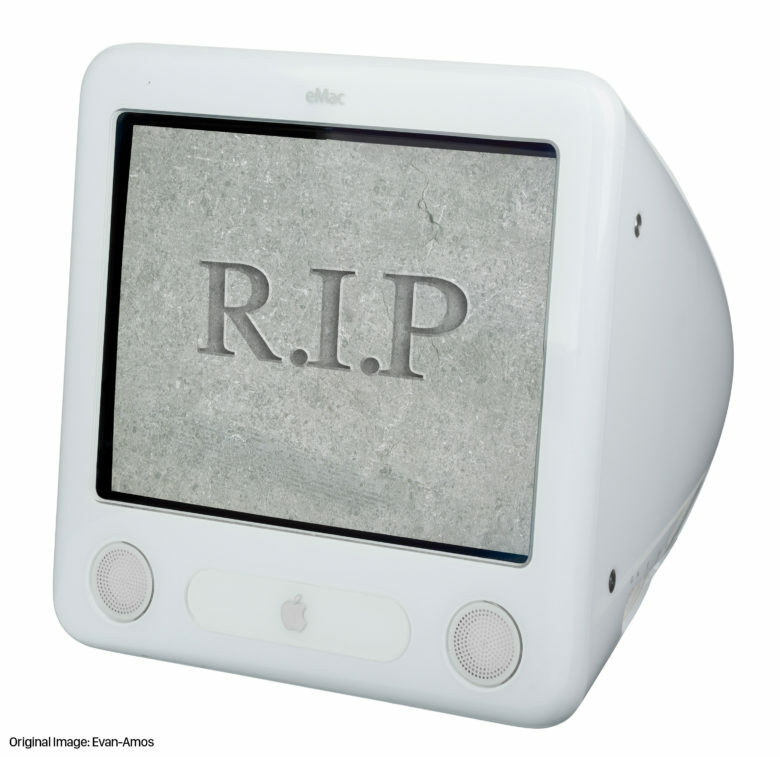 July 5, 2006: Apple discontinues its low-end eMac product line, signaling the end of the cathode ray tube era for Macs. After more than a quarter-century using CRT monitors, Apple shifts to the superior LCD technology still used for Macs today. Apple sold CRT monitors beginning in 1980 with the 12-inch Monitor ///, which shipped as part of the ill-fated Apple III business computer. Under Robert Brunner, Apple’s design lead from 1989 until 1996, the company explored LCD displays in the mid-1990s. However, it took until the mid-2000s for Apple to finally plug the plug on CRT monitors for good. The company ushered in the new era with the LCD iMac G4, which was nicknamed the “iLamp” by many customers due to its then-unusual design. Although LCD displays were more expensive, they carried some big advantages over CRT monitors — including decreased power consumption, increased brightness, and a reduced flicker effect caused by the slow refresh rate of CRT displays. The biggest impact of switching from CRT to LCD, though, was that the technology allowed Apple to explore thinner displays for Macs. Not only did these quickly become a trademark look for Apple computers, but they finally dragged the computer industry out of the “large beige box” era it had been stuck in since the 1980s. As large, box-like computers go, the eMac, which was aimed at the education market, was actually a pretty neat computer. It looked like a white version of Apple’s Mac G3, minus the travel handle, but was considerably faster — courtesy of its PowerPC G4 processor. It received a few upgrades during its life as an active Apple product line, with the final version boasting a 1.42 GhZ CPU and Radeon 9600 graphics chip. A working unit today will probably cost you less than $100, so you’re not exactly sitting on a goldmine if you’ve held onto one. However, due to its status as Apple’s last CRT Mac, the eMac definitely deserves its place in Apple history.